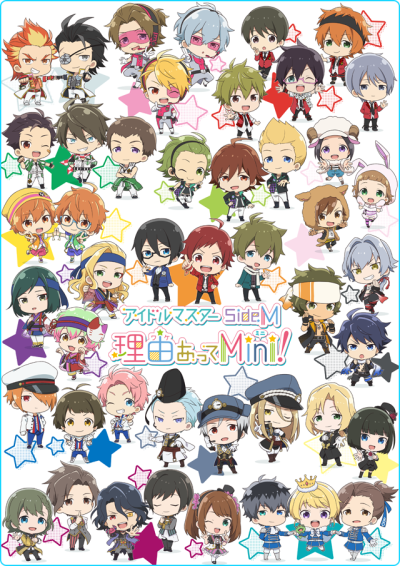 A TV anime adaptation of The Idom@ster SideM Wake Atte Mini!, The Idom@ster SideM franchise's chibi style character-featured official spin-off manga illustrated by Sumeragi, is set to premiere on Tokyo MX and BS 11 on October 9, 2018. THE IDOLM@STER SideM Wakeatte Mini! Idolmaster SideM - Wakeatte Mini!